Catastrophic injuries are especially devastating. Simply put, a catastrophic injury is any damage that significantly decreases your quality of life. For instance, if you or a loved one suffered paralysis in a car accident, you may be entitled to significant financial compensation for your injury. Paralysis is a life-altering injury that significantly impacts an accident victim’s quality of life. Additionally, many catastrophic injuries result in decreased enjoyment of life and lost wages. When’s the last time you put your very life in the hands of an absolute stranger? When you think about all the products you encounter each and every day, it becomes clear that you may be doing so at this very moment. Unfortunately, our trust is sometimes misplaced in the companies who have a duty to protect us. Product liability is an area of the law that deals with defective, improperly designed or improperly manufactured items that cause harm. In order to have a valid product liability case, an individual must be able to prove that there was some design or manufacturing defect that caused harm. 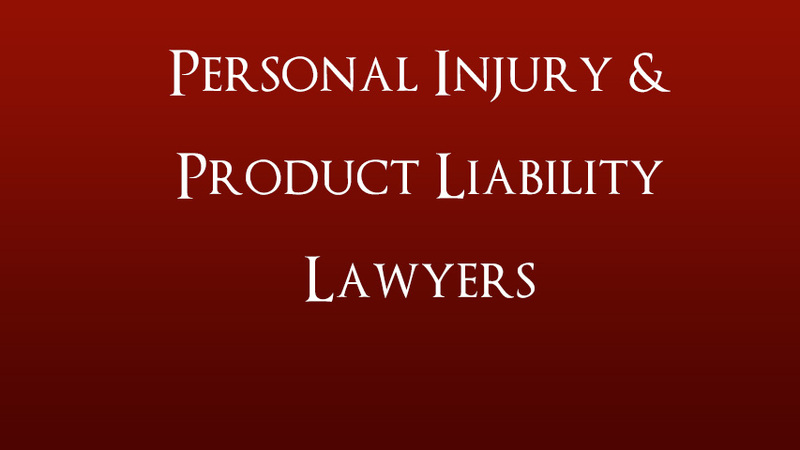 Actual injury with measurable harm has to have occurred, and the injury victim plaintiff who brings the Arizona product liability lawsuit must be prepared to present substantial evidence and that usually includes expert witness testimony to prove the claim. The field is a broad one and each case is different from the next. However, one variable remains the same – individuals who wish to recover monetary compensation in product liabilities do much better when they are represented by serious, savvy counsel who understand the many ins and outs of product liability law, know how to construct a solid case, and can draw upon their reputation and experience in the field as they represent their clients. If you or a loved one has suffered a serious personal injury resulting in lasting impairment or life changing disabilities, you might expect the insurance company to be sympathetic or at least to treat you fairly and deal with your claim in an honorable manner. Unfortunately, this is often not the case. Big companies have lawyers to aggressively represent their interests. Who will represent yours? We have extensive experience and an in-depth understanding of the tactics companies use to limit the financial compensation they pay to accident victims who have suffered serious personal injury. We use this knowledge to the benefit of our clients, to get them the best settlement possible. We know how big companies work – We used to represent them. Permanent, life changing disabilities and any serious personal injury that has a substantial effect on your life, your future and your ability to work. In representing the seriously injured, we utilize decades of experience, and proven negotiation and courtroom skills, to get maximum compensation for our clients. We fight hard for your legal recovery, and for compensation for any medical expenses, lost income, or other losses you may have. We know that insurance companies don’t offer large settlements up front – they only do so after their liability and your damages and losses have been clearly proven. To discuss your rights and legal options after a serious personal injury due to another’s negligence or wrongful acts, please call our Tucson law firm at 520-293-5300. You may also contact us using the Contact Form above for more information or to schedule a free consultation.